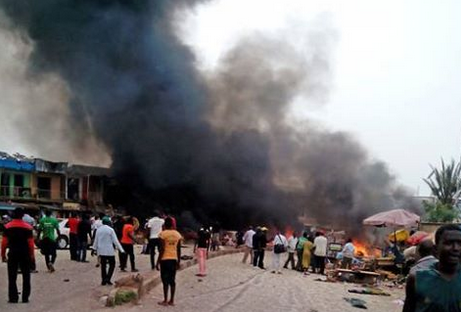 A male suicide bomber struck the Garkida cattle market in Gombi LGA of Adamawa State this afternoon, killing 9 people. According to eyewitnesses, the suicide bomber disguised as a buyer to enter the market. Garkida is a border town in Borno State and is very close to Sambisa forest.